Imagine "carbon emissions", and what springs to mind? Most people tend to think of power stations belching out clouds of carbon dioxide or queues of vehicles burning up fossil fuels as they crawl, bumper-to-bumper, along congested urban roads. But in Britain and many other countries, carbon emissions have another source, one that is almost completely invisible. In the UK, these overlooked emissions come from our most extensive semi-natural habitat, yet it is a habitat which is almost invisible within the national consciousness. The source of these emissions can be seen in the rich black peat soils of the East Anglian Fens, the Lancashire lowland plain, the Somerset Levels, the Forth Valley and indeed many lowland river flood plains, as well as in the hugely damaged peat soils of the UK’s uplands. 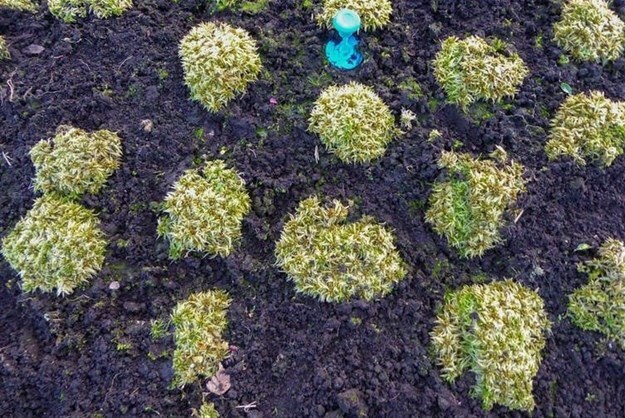 The common thread here is "peat", a soil derived almost entirely from semi-decomposed plant remains which have accumulated over thousands of years because the ground is waterlogged. Such peat soils are immensely carbon-rich because they largely consist of organic matter. Globally, peatlands contain more carbon than all the world’s vegetation combined. Despite this, peatlands rarely feature in our cultural consciousness other than as areas of struggle – "stuck in the mire"– or as places of despair or danger. 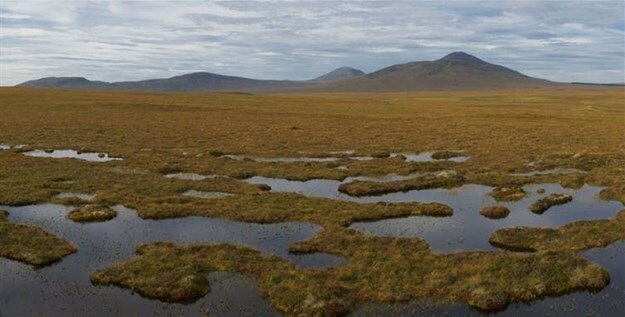 In the uplands, beyond the boundary of cultivated land, extensive peat bogs are lost in the all-embracing term "moorland", which is more of a cultural term than anything ecologically meaningful. 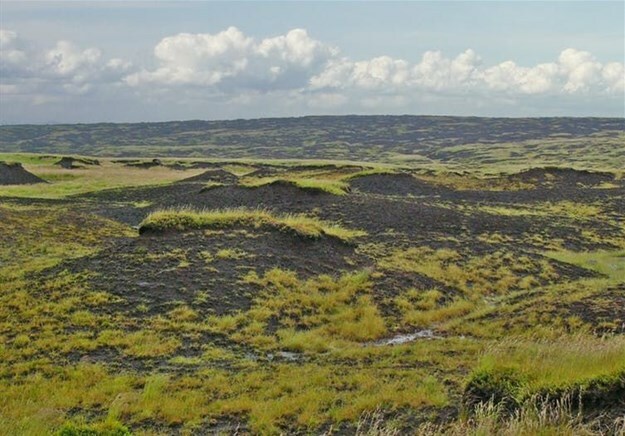 At lower altitudes, living peatland has all but vanished. Britain has drained its fens and converted the land into highly productive fields. Much of East Anglia was once a vast fen peatland, for instance, but just 3% of the original habitat remains today, in small scattered fragments. Such losses are mirrored throughout Europe, while much of the debate about palm oil and forest fires in South-East Asia is actually about the draining and conversion of peatland swamp forest.